Video: Introducing Audi's Self-driving Car! 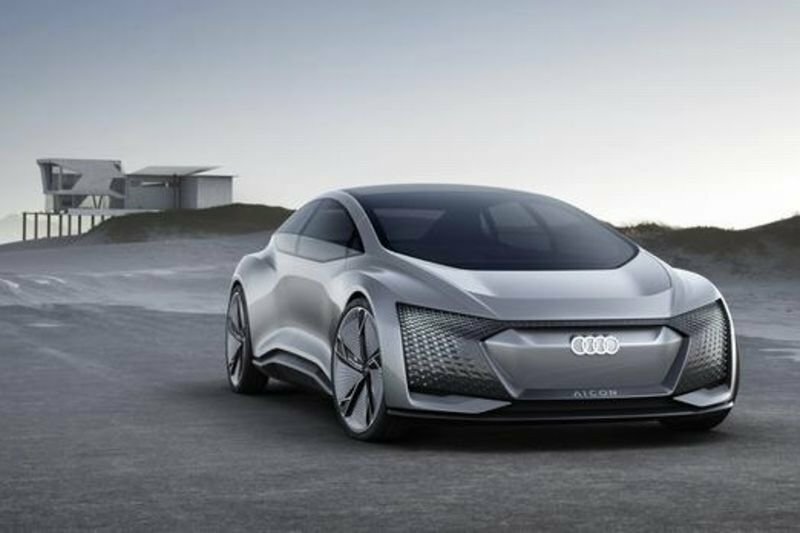 Home / Automotive / Cars / Video: Introducing Audi's Self-driving Car! Audi revealed a peek into an autonomous-driving future with its Aicon luxury concept car, which completely removes humans from the driving equation. The spectacular-looking four-door 2+2 electric car is a technology demonstrator that "combines innovations relating to the drivetrain, suspension, digitalization and sustainability in a visionary manner" according to the German automaker. The Aicon concept car pulls out all the spots to lay on the luxurious ambience of a first-class airline cabin, space where the steering wheel and pedals were, now gives more space to the passenger for maximum comfort while to self-driving car whisks you to work or out for a coffee. And it's a lot of space we're talking about. With an exterior length of 5.44 metres, the Aicon substantially outsizes even the A8 sedan, while its large windows, a transparent roof and low waist line emphasize the feeling of spaciousness. The variable transparency glass roof panels can block out the sunlight if needed. The car's powered by four electric motors producing combined outputs of 260kW and 550Nm. Each motor drives one wheel, enabling electronically controlled, variable Quattro all-wheel drive. The car should be able to cover between 700 and 800 kilometres on a single charge, and adaptive air suspension ensures a cushy ride.